CarPal Genius - Advantage of consultancy and best prices rolled into one. 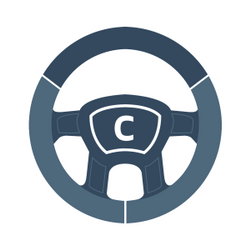 With CarPal Genius, you get complete consultancy of vehicle options based on your preferences and affordability. through an auto expert. We do this to ensure your experience is hassle free - no salesmen pressure, no unnecessary calls. This also includes deal matching in case you find a lower deal outside our network. Great to know you&apos;re looking to buy a new car. Making a decision on the best vehicle for you could be a challenging task. It is completely understandable if you&apos;re left feeling confused about choices as there are too many options to choose from. Identifying the best for you would revolve around understanding your preferences given some context, your budget, your fuel choice options and a lot of other factors based on which our CarPal Genius can help recommend the best choices. With CarPal Genius, you get the guidance of an auto expert right from consulting regarding the best vehicle choice for you till the delivery of your new vehicle. Do note that this fee is refundable when the car is purchased through CarPal. Once payment is completed, you will receive a call from CarPal confirming your subscription and taking it forward by setting up a mutually convenient time frame with the concierge to discuss your vehicle options. In case of cancellation before any session with the expert, a complete refund minus taxes/convenience fee will be initiated on request. The cancellation is non-refundable once discussions with the concierge commence.